Leonardo Reginatto does not have any MLB stats for the season. November 2, 2018 3B Leonardo Reginatto elected free agency. September 25, 2018 Rochester Red Wings activated 3B Leonardo Reginatto from the 7-day disabled list. July 16, 2018 Rochester Red Wings placed 3B Leonardo Reginatto on the 7-day disabled list. Left hand fracture. June 19, 2018 Rochester Red Wings activated 3B Leonardo Reginatto from the 7-day disabled list. June 10, 2018 Rochester Red Wings placed 3B Leonardo Reginatto on the 7-day disabled list retroactive to June 9, 2018. March 16, 2018 3B Leonardo Reginatto assigned to Minnesota Twins. December 7, 2017 Minnesota Twins signed free agent 3B Leonardo Reginatto to a minor league contract. December 7, 2017 3B Leonardo Reginatto assigned to Rochester Red Wings. November 6, 2017 3B Leonardo Reginatto elected free agency. October 10, 2017 3B Leonardo Reginatto assigned to Bravos de Margarita. July 20, 2017 Rochester Red Wings activated 3B Leonardo Reginatto from the 7-day disabled list. July 3, 2017 Rochester Red Wings placed 3B Leonardo Reginatto on the 7-day disabled list retroactive to July 2, 2017. Back muscle strain. 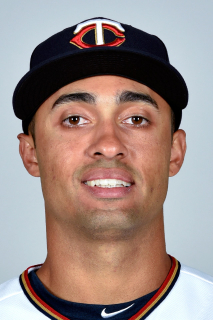 December 15, 2016 Minnesota Twins invited non-roster SS Leonardo Reginatto to spring training. November 4, 2016 SS Leonardo Reginatto assigned to Toros del Este. August 9, 2016 3B Leonardo Reginatto assigned to Rochester Red Wings from Chattanooga Lookouts. March 21, 2016 SS Leonardo Reginatto assigned to Minnesota Twins. December 29, 2015 SS Leonardo Reginatto assigned to Chattanooga Lookouts. December 18, 2015 Minnesota Twins signed free agent SS Leonardo Reginatto to a minor league contract. November 6, 2015 SS Leonardo Reginatto elected free agency. August 14, 2015 SS Leonardo Reginatto assigned to Montgomery Biscuits from Durham Bulls. August 4, 2015 SS Leonardo Reginatto assigned to Durham Bulls from Montgomery Biscuits. June 19, 2015 SS Leonardo Reginatto assigned to Montgomery Biscuits from Durham Bulls. May 21, 2015 SS Leonardo Reginatto assigned to Durham Bulls from Montgomery Biscuits. May 17, 2015 SS Leonardo Reginatto assigned to Montgomery Biscuits from Durham Bulls. May 16, 2015 SS Leonardo Reginatto assigned to Durham Bulls from Montgomery Biscuits. May 15, 2015 SS Leonardo Reginatto assigned to Montgomery Biscuits from Durham Bulls. April 22, 2015 SS Leonardo Reginatto assigned to Durham Bulls from Montgomery Biscuits. March 22, 2015 SS Leonardo Reginatto assigned to Tampa Bay Rays. July 29, 2014 SS Leonardo Reginatto assigned to Montgomery Biscuits from Charlotte Stone Crabs. April 1, 2014 SS Leonardo Reginatto assigned to Charlotte Stone Crabs from Bowling Green Hot Rods. March 10, 2014 IF Leonardo Reginatto assigned to Tampa Bay Rays. March 31, 2013 SS Leonardo Reginatto assigned to Bowling Green Hot Rods from Hudson Valley Renegades. March 22, 2012 SS Leonardo Reginatto assigned to Tampa Bay Rays. June 17, 2011 Leonardo Reginatto assigned to Hudson Valley Renegades from Princeton Rays. June 18, 2010 Princeton Rays signed free agent Leonardo Reginatto. December 31, 2009 SS Leonardo Reginatto elected free agency. May 14, 2009 VSL Rays signed free agent SS Leonardo Reginatto.